BorgWarner will launch its electric drive module (eDM) with integrated eGearDrive® transmission in two pure electric vehicles from a major Chinese automaker. Production is expected to begin in summer 2017. "BorgWarner's new eDM combines our know-how in eGearDrive transmissions, first launched in 2009, with our newly acquired expertise in electric motor technology from the former REMY business," said Dr. Stefan Demmerle, President and General Manager, BorgWarner PowerDrive Systems. "Our first application of this integrated world-class propulsion solution will be produced locally in China." BorgWarner's eDM provides primary or secondary propulsion for pure electric or P4-type hybrid vehicles. 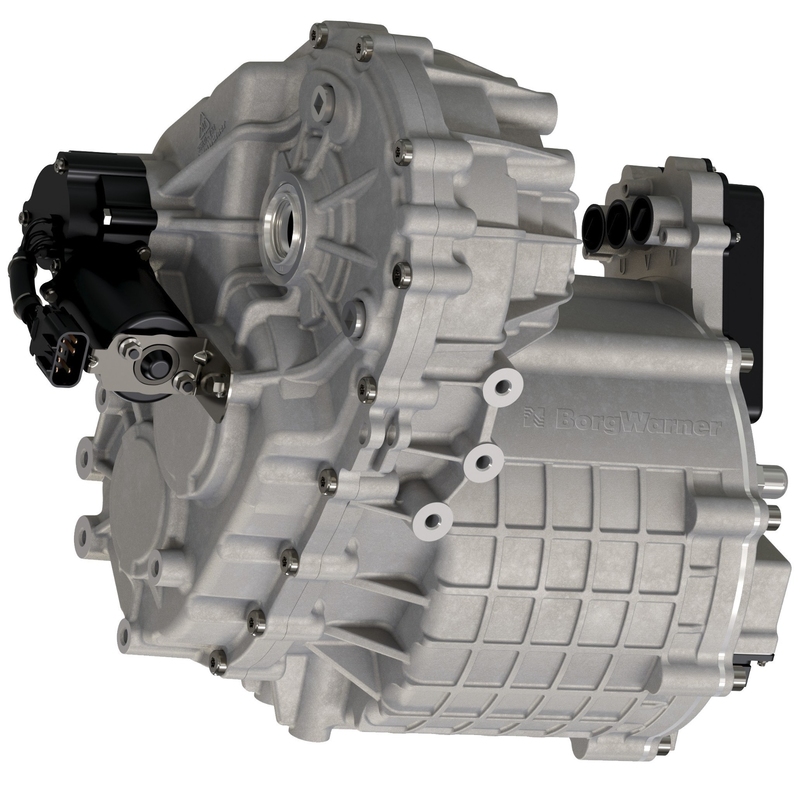 The integrated design of the electric motor and transmission enables weight, cost and space savings. Since both functions are combined into one housing, installation is also easier. Based on the vehicle manufacturer's desired propulsion characteristics, performance is optimized with various available gear ratios to provide a completely tailored solution. Featuring patented high voltage hairpin (HVH) technology and optional power electronics, BorgWarner's HVH 250 electric motor delivers superior performance with over 95 percent efficiency. Through its high-efficiency gear train and compact, low-weight design, the eGearDrive transmission contributes to extended battery-powered driving range, which in turn reduces the battery capacity required. An electronically actuated park lock system is also available. BorgWarner's comprehensive product portfolio also includes numerous other leading technologies for hybrid and electric vehicles, such as the eBooster® electrically driven compressor, cabin heaters and auxiliary thermal coolant pumps. All of these technologies support automakers around the world in designing the clean and efficient vehicles of tomorrow.